There will probably be other people who are interested in the same things as you. Find out if there are local groups that you could join. 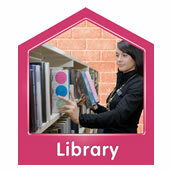 You could ask at your local library for information about groups in your area. Looking on the internet is also a good way to find out which groups and organisations are campaigning on issues important to you. You could look in the local newspaper for information. You could join a group on the internet. There may be a Facebook group that you could join or an online forum where you contact people from all over the world and share ideas.